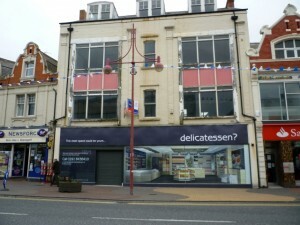 One of the things I love about retail is the way that you can always find obscure links between apparently unrelated places, people and shops – such as me innocently blogging about Newcastle’s old Zavvi store without initially realising the Woolworths connection. The latest example of the phenomenon links two of my previous posts about completely different topics – the one from a couple of weeks ago about my visit to Barnard Castle, and February’s post about the now-famous Shopjacket in Whitley Bay. 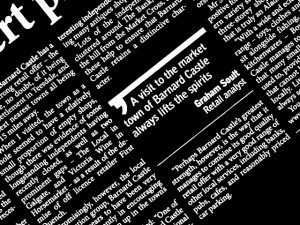 The connection was made in last week’s Teesdale Mercury newspaper, where a nice story by the Mercury’s editor about my Barnard Castle blog post – under the heading ‘Retail expert praises town’ – sat next to a piece about Shopjacket’s latest project… in Barnard Castle. 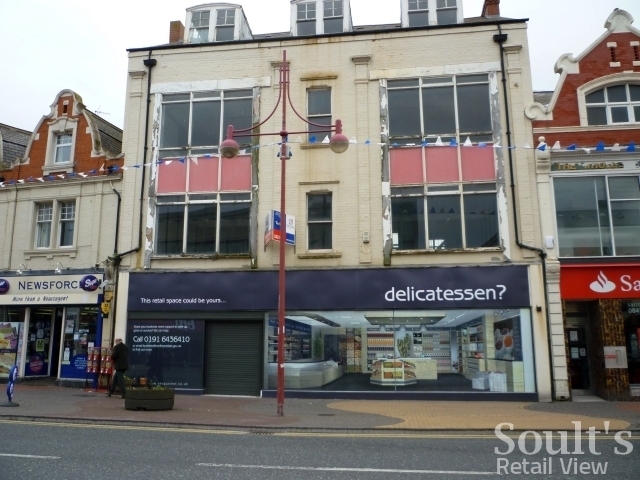 As you’ll recall, Whitley Bay’s so-called ‘shoptical illusion’ caused something of a media frenzy when it was installed earlier this year, taking the horrible looking former Select store and giving it the appearance of an upmarket delicatessen. Commisioned by the town’s regeneration partnership, Barnard Castle Vision, Barney’s version follows the same formula – this time masquerading as a baker’s – but has the advantage of being attached to a much nicer building to start with (the former Harmoni home gift shop at 22 Horsemarket). Again, it’s pretty realistic, and effective at transforming the empty property into something that contributes positively to the street scene. 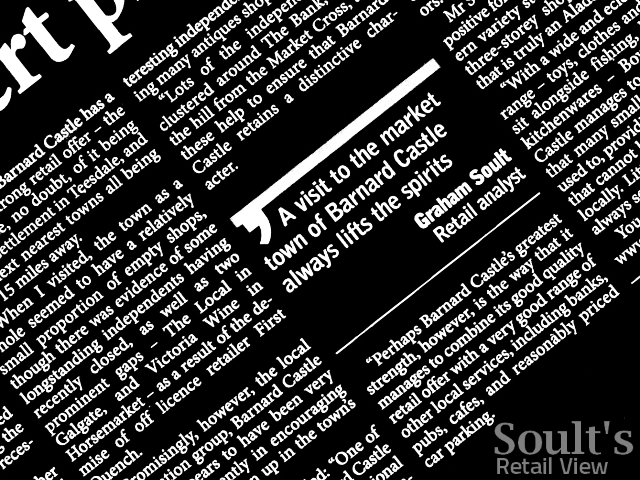 It also complements and supports the efforts that Barnard Castle Vision is making – mentioned in my previous post – to bring real independent retailers into the town, with recent arrivals including a vintage retro shop, a ladies’ fashion store, a hairdressers and a cycle shop. Bigger names have also been attracted, with Scotmid’s health and beauty chain, Semichem, opening its eleventh north of England store[broken link removed] in the Market Place’s former Blockbuster Video premises. 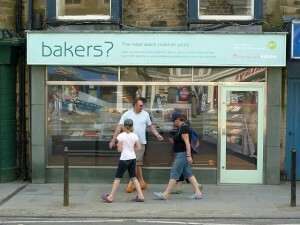 Who knows, at this rate it might not be long before Barnard Castle’s fake bakers is replaced by a proper one. Next story Robbs is saved – so what happens now?